There is nothing to do here or everything you'd hoped. 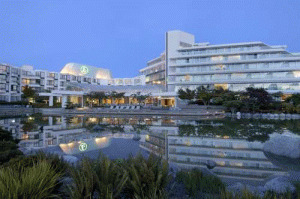 Nothing at all to do but relax...take in the views... and contemplate the sweeping architecture, design and oceanfront. From the moment you step inside, prepare to be hypnotized by the spectacular harbour views just off your balcony, and soothed by the privacy of your quiet retreat. Decks give way to gardens. Glass walls invite natural light. Museum - quality art graces hallways, and wide open space gives you room to breathe. Book an in-room spa or dine al fresco on our oceanfront patio - or yours. 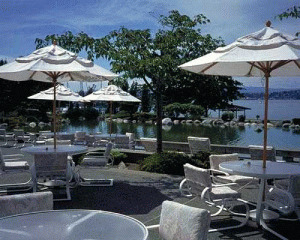 AURA waterfront restaurant + patio boosts award winning culinary team and impeccable service. 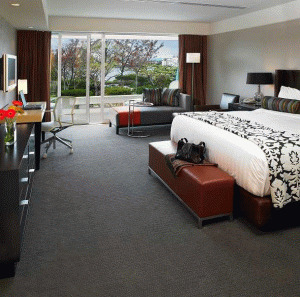 When it is time to rest, your waterfront hotel is a welcoming sanctuary. It always feels subtle yet sublime, naturally calming. Inviting you to slow your pace, smile more and sleep soundly. For pleasure and leisure, for business or weddings, you'll be exactly where you want to be. So do nothing at all. Or everything you can. Either way, you'll love it here. Not just a place to sleep, this is a place to stay. Please visit Inn at Laurel Point Website.